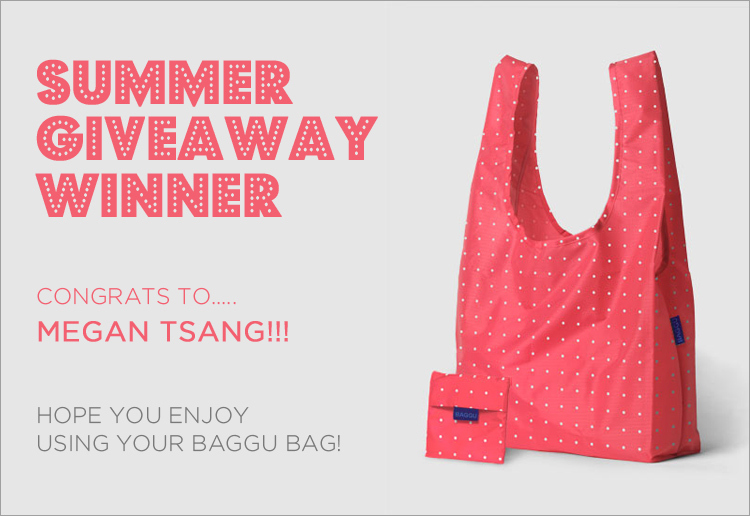 And the winner of the summer giveaway is…..
Congrats, Megan, on winning the Baggu bag! Hope you enjoy using it….whether it be at the beach, or at the supermarket, or while traveling somewhere halfway around the world. =) Look out for an email from me.